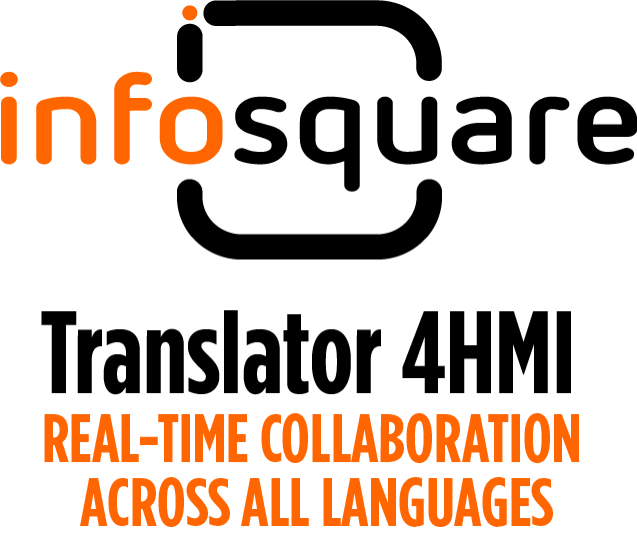 Infosquare Translator 4HMI enables any application built with VANTIQ to combine AI-powered Neural Machine Translation (PNMT®), Natural Language Understanding (NLU) and AI based text-to-speech/speech-to-text to deliver real-time multi-lingual human-to-human as well as human-to-machines voice and text collaborations. The Infosquare Translator 4HMI solution is built on top of the real-time and event-driven VANTIQ Modelo platform. Designed to address the challenges global companies are facing it will help them to break through intercultural language barriers and provide customers with tremendous competitive advantages. 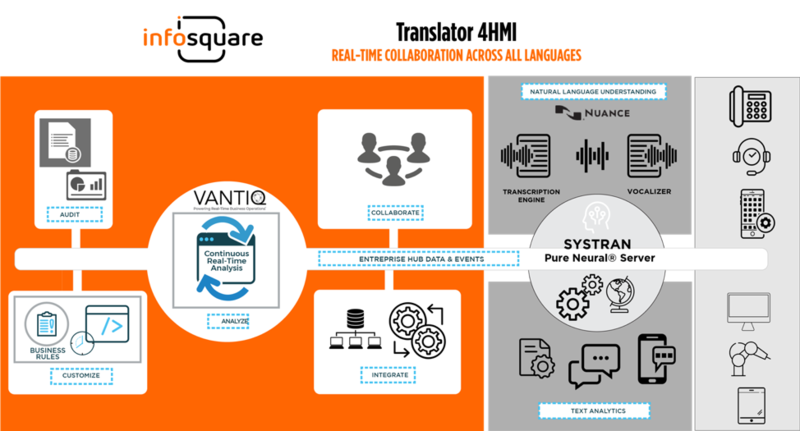 The VANTIQ Modelo platform coupled with real-time AI-based language translation capabilities is changing the way humans interact with technology through best-in-class business applications and a multi-lingual user experience. The heart of the Infosquare Translator 4HMI solution is designed around SYSTRAN Pure Neural® Server as a secured and integrated translation software solution that translates all types of documents and files. That includes manuals, procedures, reports, product and support information, content applications, websites, chat, emails and audio files. Neural networks are able to automatically correct their parameters during the training phase of the translation engine. This technology based on complex algorithms at the forefront of Deep Learn¬ing, enables the PNMT® engine to learn. It generates the rules of a language from a given translated text and produces a translation overachieving current state of the art machine translation and even better results than a non-native speaker. Natural language understanding empowers users to interact with systems and devices in their own words without being constrained by a fixed set of responses. It helps systems like the IVR or virtual assistants better understand a human’s words because it can recognize a wider variety of responses, even if it has never heard them before. -	SYSTRAN Pure Neural® Server: to handle all text translation. -	VANTIQ Modelo: to integrate, distribute and control of the processes in real-time. - Transcription Engine: to manage the voice to text transcription. - Vocalizer: to manage text to voice. Each component uses standard communication protocols, which allows a simple and tight integration while keeping manageability under control and insuring the scalability of the solution. The Infosquare Translator 4HMI solution is available in the Cloud and On-premise to guarantee data privacy, safety and to comply with any internal security policies. Customer data, confidential information and trade secrets will not leave your company.